Complete with wrist pins. Sold only in sets of 4. 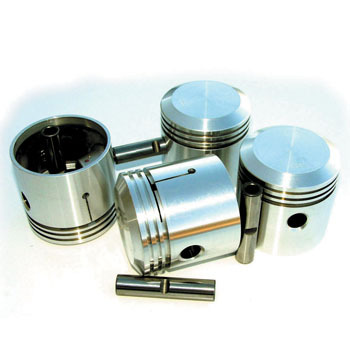 Original cast iron pistons weight as much as 5 times as much as the new aluminum pistons. Think what a difference that can make in the vibration of your engine.